With uninterruptible power supply manufacturers offering ever-longer warranties, some clients are asking what value UPS maintenance contracts offer. Typical UPS warranties are extending from the traditional one-year to two, three and even five years. Some UPS manufacturers offer two-three years now as standard with the option to purchase a warranty upgrade. Any warranty offered is part of the initial product package. As well as any statutory or manufacturer specific terms, the warranty will generally cover any associated labour, transportation and parts but exclude the batteries. These are generally covered by the specific battery manufacturer’s warranty of the brand and type used the UPS system. The warranty is a factory warranty. It may be offered back-to-back by the local UPS sales office and/or their resellers and distributors or extended to meet local competitive conditions. Either way, the user is protected by the warranty in place when the order is placed. Response Times: the standard warranty may provide a next working day 24hour swap-out or site visit. A UPS maintenance plan will offer a response time which may range from 4 clock hours, 24/7 to 12 working hours. Preventative Maintenance Visits (PMVs): a UPS maintenance plan will typically include an annual preventative maintenance visit. This is both a visual and actual physical inspection of the UPS, its battery set and associated switchgear. Associated Costs: a maintenance contract has an additional cost which is directly proportional to the response time required should the uninterruptible power supply require an emergency site visit. Whilst these are the key differentiators, it is also not uncommon for maintenance plans to be offered with a range of other site options include: load bank testing, battery testing, on-site spares, remote monitoring and 24/7 technical support. 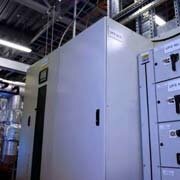 Most clients choose an extended warranty plan over a UPS maintenance plan for systems below 3kVA. This is because smaller systems tend to be plug and play and not hardwired. Above this size, a UPS maintenance plan becomes more of a tick-box item as part of the UPS order and this is very much evident above 10kVA becoming almost mandatory for larger three-phase UPS systems. With UPS manufacturers offering longer warranty periods and the systems themselves designed to for longer working lives, is a UPS maintenance plan important during the first year of UPS operation? The answer here is again dependent on how much the organisation relies on its critical power path. If they are and the uninterruptible power supply forms a vital element in this power link then maintenance is vital. Even if during the first year the maintenance visit is purely to inspect the system for correct operation and the recording of battery performance levels and UPS activity logs for benchmarking. EcoPowerSupplies is a UPS maintenance company, offering a range of custom UPS maintenance plans for the brands we are certified to sell and maintain as well. We also provide third-party maintenance for legacy systems, calling on the expertise and access to technical documentation and training of our UPS maintenance team. Our service engineers are trained to the highest standards and operate as manufacturer certified engineers for a number of uninterruptible power supply companies include Riello UPS.